We know it’s not easy spending money on things when budgets are tight, especially items that are considered “premium” or “gourmet”. But when it comes to being wise stewards of our financial blessings, what if the extra expense when making a purchase was worth it? At least that’s what so many of our loyal supports tell us when they buy Saint Basil Coffee. Maybe it’s because they know that 100% of the proceeds go toward helping others who are struggling to overcome deep poverty and disadvantage. Maybe it’s because they know that part of the Co-Missionary message is that we help each other with our time, talent and treasure as best we can. Whatever the reason, I am grateful for all of the support Saint Basil Coffee has received over the years. But, I have a favor to ask. 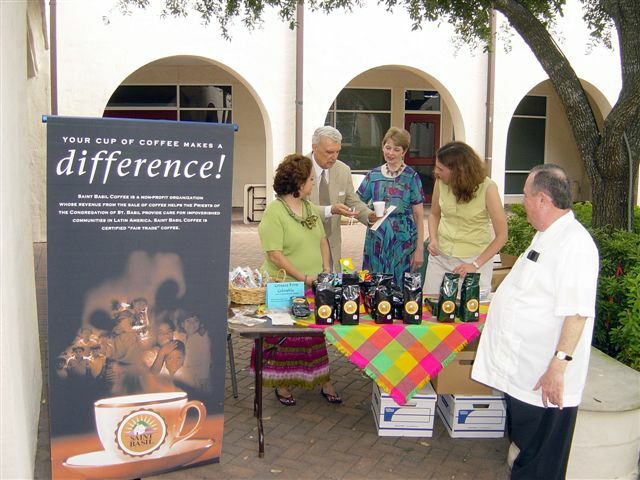 In addition to selling our coffee online, we also set up a booth once a month at St. Anne’s Catholic Church in Houston, Texas. By doing this, we are able to sell an extra 80 pounds of coffee to our fellow parishioners. 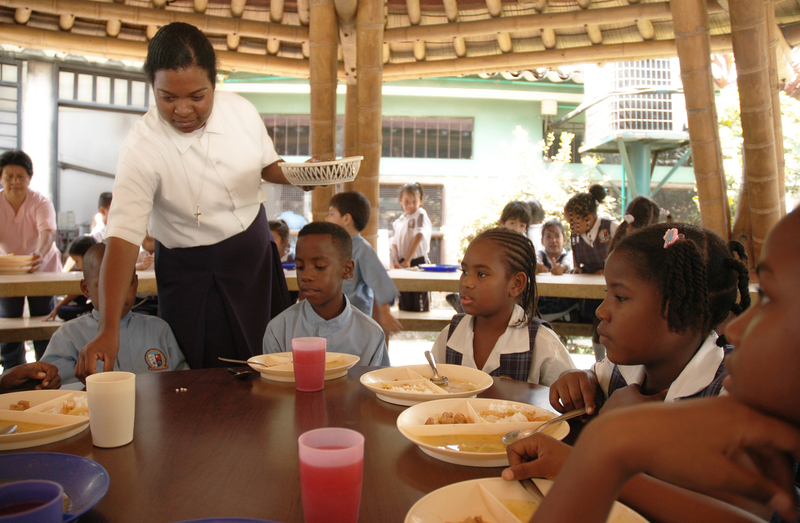 The money we raise goes directly to support missions in Cali, Colombia. The problem is, we know there are other churches that drink coffee on a regular basis as part of their hospitality and outreach yet, because Saint Basil Coffee consists of me and a handful of part time volunteers, we’re not able to create relationships with them and set up booths ourselves. That’s something I have been trying for years to find a solution for and I think I’ve stumbled across an idea that just might work. 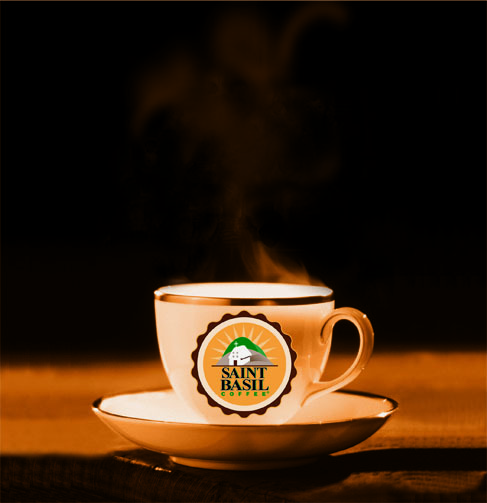 If you enjoy our organic, fair trade coffee and you share our belief in the need to help those who have so little, would you consider sharing the Saint Basil Coffee message with your church? With over 17,000 Catholic Churches in the U.S. alone (not including other faiths and denominations) what if we could get just 1,000 of them to purchase as little as 2 pounds of coffee a month for their priests, nuns, and parishioners? That would mean $28,000 worth of support going toward orphanages and schools and medical clinics! If that seems too ambitious, what if we had just 50 churches purchasing 10 pounds of coffee every month? That would mean Saint Basil Coffee would have $7,000 to send to the poorest of the poor! And, what if those same 50 churches had volunteers to set up a booth like we do at St. Anne’s selling 50 pounds of coffee once a month? That would bring in $35,000! I know it seems like a lot to ask and maybe it is too ambitious to imagine, but what if by sharing Saint Basil Coffee with your church, we were able to increase our ability to help others? One thing I’ve seen time and again is that a cup of coffee CAN make a difference! Would you prayerfully consider helping me?